Posted on December 21, 2011, in Crop Updates, Livestock and tagged Agriculture, cattle, corn, corn stalks, Grazing, herbicides, i, Nebraska. Bookmark the permalink. 1 Comment. As the Program Manager for the Pesticide/Fertilizer Program at the Nebraska Department of Agriculture, I tend to get a lot of label interpretation requests like the one you are talking about in this article. This is not the first time I have encountred the question, and while I have submitted a more detailed article to Crop Watch, I would like to provide some comments here, in general terms, regarding fall application of any pesticide (which includes herbicides). The U.S. EPA requires all pesticide manufacturers to provide data on how long their chemicals take to break down, both in the environment and in any domestic animal that might be eaten for food or produce a food product. 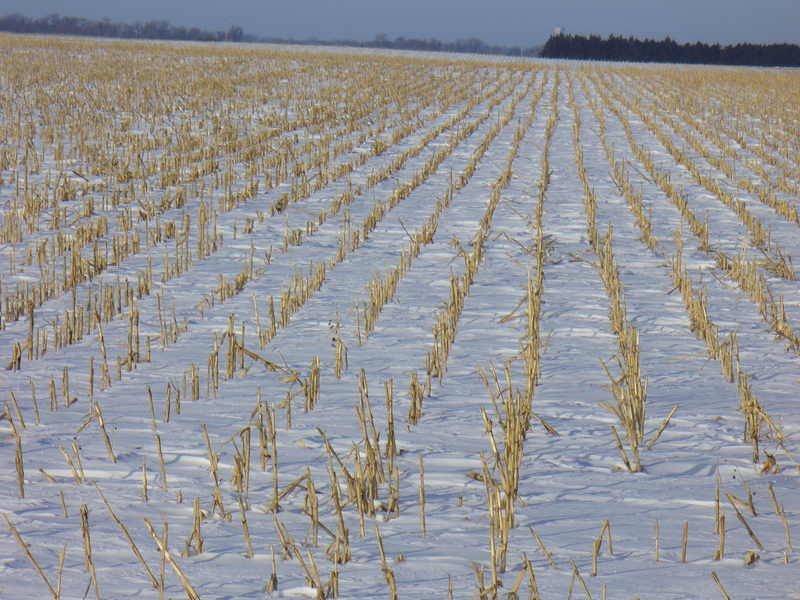 A soybean herbicide applied in the fall to corn stalks might not have the necessary corn stubble residue data to support that use, especially if the chemical company doesn’t intend to register it for use on corn. The easiest way to determine whether a chemical can be applied in the fall is to check the label (just as you said in your blog article). If a herbicide label indicates it can be applied “pre-plant” or “pre-emergence”, that is NOT the same as a fall application, and should not be interpreted that it can be applied anytime before the next crop is planted. The label must say “fall application” for it to be legally applied in the fall. It must further indicate which crops can be planted in the spring after the fall application, and if the applicator doesn’t intend to plant one of those crops, he cannot apply the herbicide in the fall, since it will either cause crop damage the following spring, or exceed allowable residues in the following crop. EPA has determined that “pre-plant” applications must occur within 30 days of the intended planting date, unless the label specifically allows more than that. The term “pre-emergence” is interpreted as anytime after planting, but before the crop emerges from the soil surface. The term “fall application” is not defined by EPA, but has been interpted by our agency to mean after the previous crop is harvested and before winter commences, which is December 22nd. Anything after that date would be considered a “winter application”. If you or any of your readers would like to discuss this further, I can be reached at my Lincoln office at (402) 471-6882.